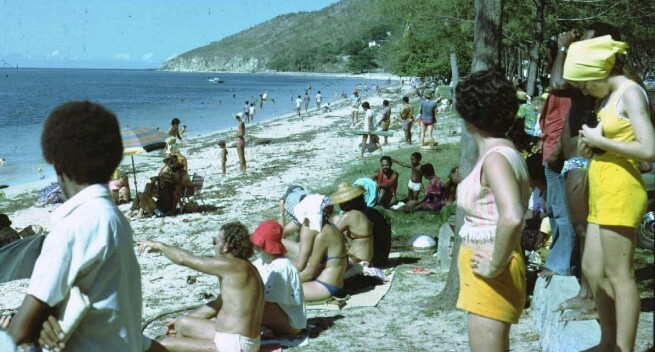 THE Hiri Moale Festival will be allocated space in the current redevelopment of the iconic Ela Beach in Port Moresby. This was made known by Member for Moresby South Justin Tkatchenko when he responded to questions on the redevelopment of the beach. He added that the Motu-Koita Assembly, the voice piece of the Motu-Koitabu landowners of traditional Port Moresby, was in agreement of the redevelopment of the beach front which would bring in new jobs. Mr Tkatchenko was also asked on the controversial issue of the land title which he fought to have extinguished after it was awarded to Awak Holdings Limited two years ago. "I did not agree with the way the title was handed to Awak Holdings via the Lands Department." Awaks development plan had also entailed reclamation of the shorefront about 50 metres but it met with opposition from Mr Tkatchenko and traditional landowners. "The beach front comes under National Capital District Commission and it is State land, open space and recreational." He added that after the extinguishing of the land title, the title was publicly tendered by NCDC and awarded to Cardno and China Harbour Engineering Company for the roadworks. The Ela Beach Foreshore Development Plan was unveiled in September last year. In that plan the beach front will undergo two stages of development with stage one will see completion of APEC Haus to be constructed on NCDC’s sea park land. APEC Haus will be the venue for the Asia-Pacific Economic Co-operation Leaders’ Summit next year. The second major development would be the construction of Ela Beach Road as a four-lane road to align with Healy Parade and Paga Point Ring Road; construction of about 300 car parks; and redevelopment of Ela Beach as per the unveiled master plan.